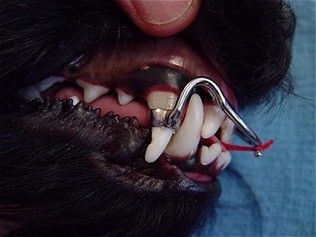 Malocclusion in dogs is not an uncommon problem. However, if left untreated, the end result may lead to chronic pain, periodontal disease, and/or concussive pulpitis. 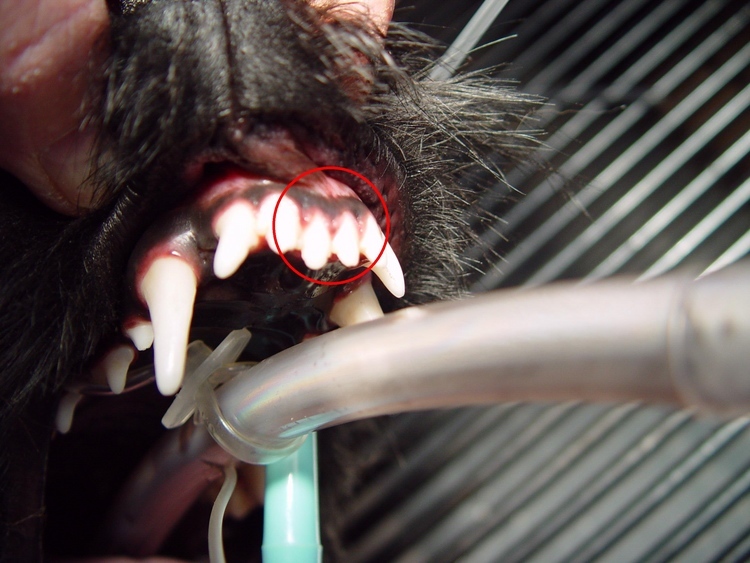 A Scottish Terrier approximately one year old, came to us with an anterior cross-bite. The maxillary central incisors were positioned distal to the lower mandibular incisors. After all treatment options were discussed, the owner elected to try moving the maxillary central incisors rostrally. 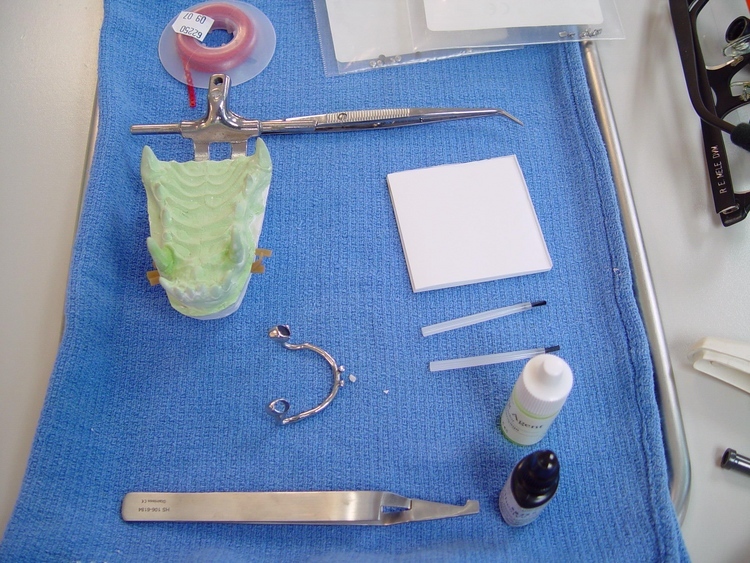 Under general anesthesia, a complete oral exam and dental radiographs (images) were completed. Impressions and stone models were made and sent to a veterinary dental lab for orthodontic appliance fabrication (maxillary arch bar). After two weeks, the patient was re-anesthetized. The appliance needed no adjustments and was secured to the upper canines with a bracket adhesive. Orthodontic buttons were attached to the palatal surface of the upper two central incisors with the same adhesive. Elastic chain was attached to the incisor buttons, stretched and secured to the arch bar buttons. This tension will hopefully move the central incisors into a normal position. * A lower incisor retainer may be needed to prevent rostral drift.